The Dragonz are headed out on their first big adventure! Join Flint, Switch, Frost, and Gobble as they explore the vibrant terrain in search of treasure. Each one has a special ability in the bonus that can land you massive wins. 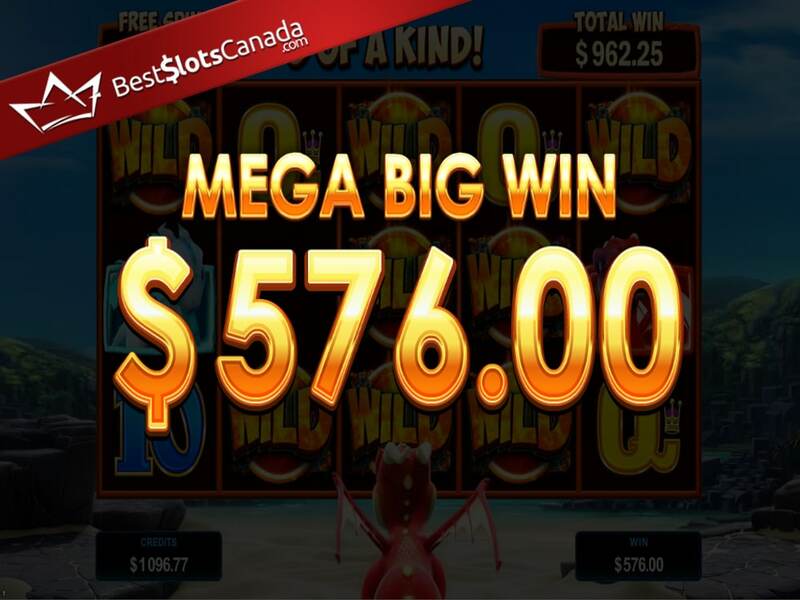 These creatures are tiny but mighty – and they just might land you a big win! 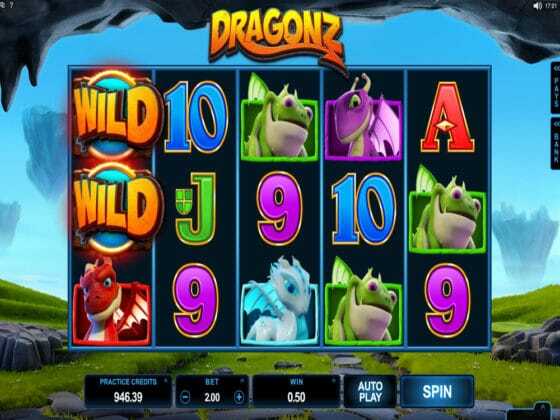 The Dragonz online slot is a wild adventure with 243 ways to win! Three SCATTERS take you to the bonus – which Dragon will you choose? 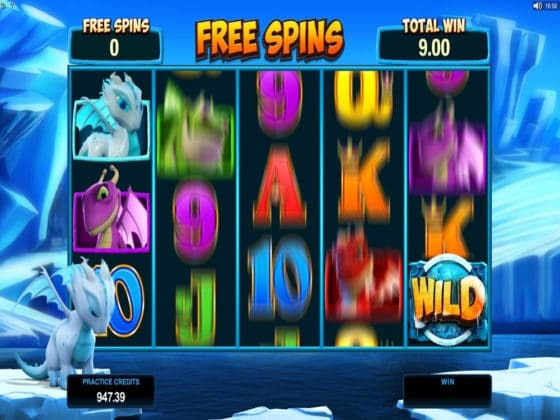 Each Dragon offers 10 FREE spins with a unique feature. Flint spits out 8 WILD symbols for a MEGA Big Win! 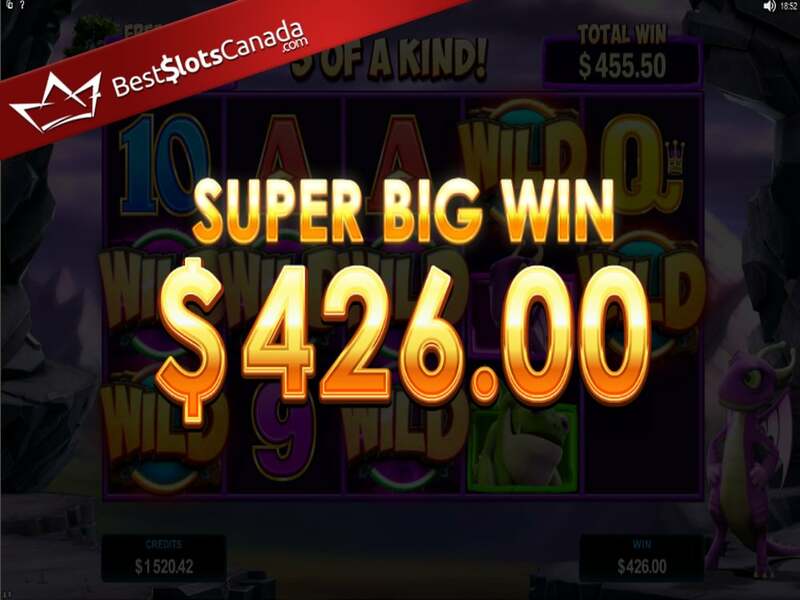 Switch throws down 4 WILDS on the reels for a Super Big Win! 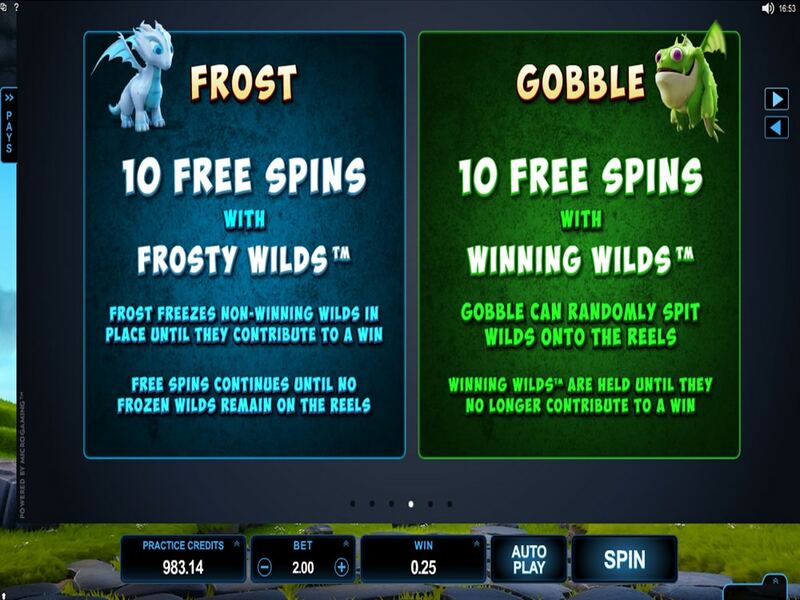 In Frost’s bonus, all non-winning WILDS are frozen until they make a win. 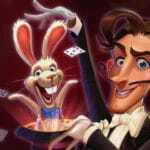 Get 10 spins for FREE at Royal Vegas Online Casino, plus get 30 more spins & up to $1,200 in bonus matches! 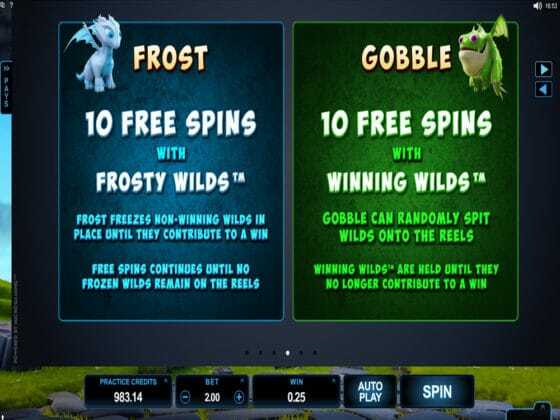 Any non-winning spin with a WILD on the center reel triggers WILD Deal and adds extra WILDS to turn it into a win! 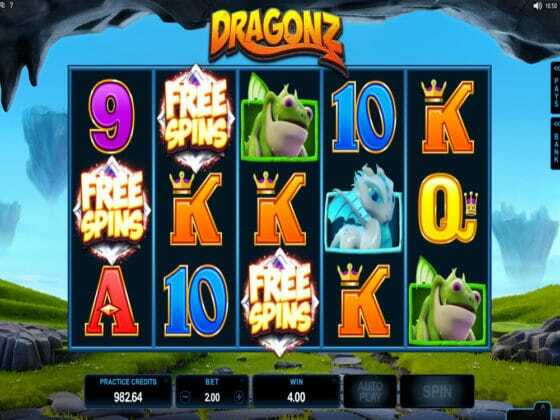 Get 40 FREE spins on Dragonz and up to $1,200 in bonus credits at Royal Vegas Online Casino!